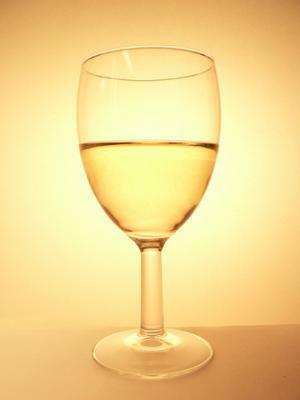 Wine Recommendations For April 2010, Welcome Lightness And Warmth! We are well into Spring. The wine recommendations for April 2010 reflect our desire for easy entertaining, light food, and bright wines. As the days grow longer and warmer, our thoughts turn to lightness. Two wines that personify this trait are Riesling and Pinot Noir. Riesling is special. For me, it is the go-to wine. It pairs well with almost everything, it is lovely and refreshing when drank by itself, and it reminds me of Spring, light, and warmth. When I drink a glass of Riesling, even if it is the dead of winer, it takes me to a place in my mind where it is always sunny. Don't get me wrong, I also love Sauvignon Blanc, and would never turn down a nice Chardonnay, but Riesling spells A-p-r-i-l, and that is divine; that is why it is one of the star of wine recommendations for April 2010. If you are a red wine fan but still crave something light and breeze, you are in luck, Pinot Noir is for you. 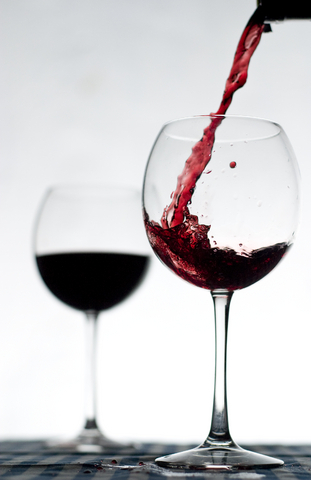 Pinot Noir will not hit you over the head with tannin, it will woo you with softness. When the weather turns warm, we don't need a "stick to the ribs" wine, we want a red wine that may be substantial, but also gentle and bright. Pinot Noir fits the bill. Here are some examples of both that you are sure to enjoy! Seven Hills Riesling Columbia Valley 2008. A light and lovely wine with a bit of pear and a bit of lemon! Score of 89, $ 15.00 USD. Washington. Chateau Ste. Michelle Riesling Columbia Valley Dry 2008. Ssweetness that brings out the flavors of pears and citrus; delightful. Score of 87, $12.00 USD. Washington. Snoquaimie Riesling Columbia Valley Winemaker's Select 2008. Light and bright with notes of sweet melons and citrus, and a great value too. Score of 87, $9.00 USD. Washington. Wanger Riesling Finger Lakes Select 2007. Wonderful notes of almonds and fig. Score of 88, $13.00 USD. New York. Duck Pond Pinot Noir Willamette Valley 2008. Delicate and with the feel of silk; with notes of berries and flowers. Score of 88, $19.00 USD. Oregon. Beringer Pinot Noir Napa Valley 2007. Notes of cherries and spices. Score of 89, $19.00 USD. California. Bogle Pinot Noir Russian River Valley 2006. A refreshing wine with notes of berries and cherry. Score of 87, $13.00 USD. California. Au Bon Climat Pinot Noir Santa Barbara 2007. Soft and delicate, with notes of berries and peppers. Score of 86, $19.00 USD. California. Enjoy Spring and these lovely wines. Special Recommendations For April 2010!